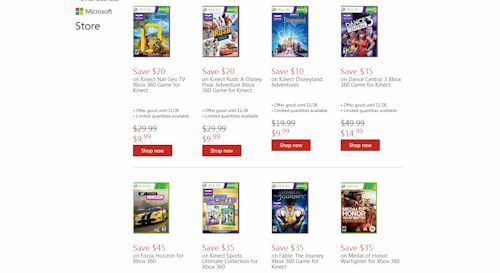 The Microsoft Store might not be the most popular online retailer, but Microsoft is certainly making an aggressive push this Black Friday for deals on videogames. They are offering several titles, including many recent ones, for as low as $15. You can order those deals starting TODAY - just follow this link.